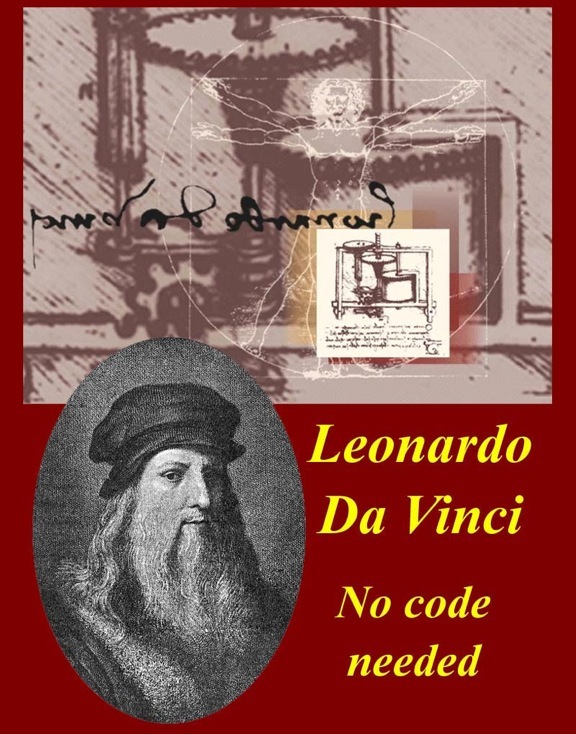 Leonardo Da Vinci -- No code necessary! Da Vinci Secret? 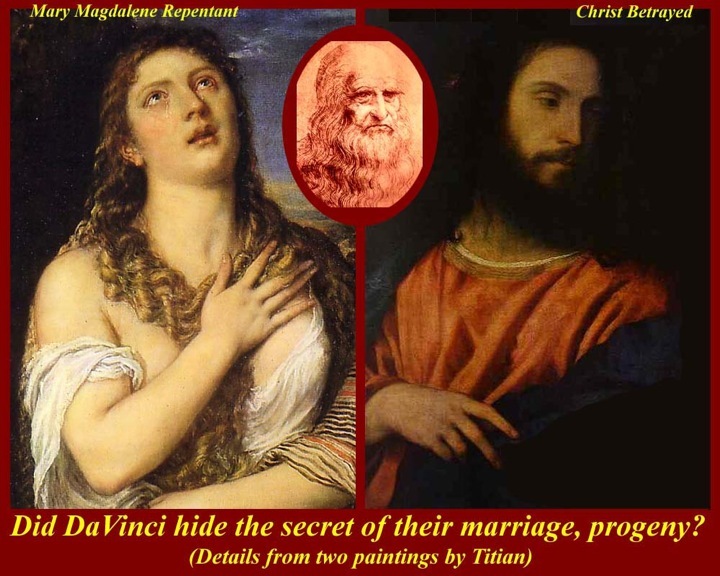 -- Jesus and Mary M. married? Had kids?? Whose offspring were guardians of the secret of the "Grail"??? Da Vinci-cide -- boring, get a life! 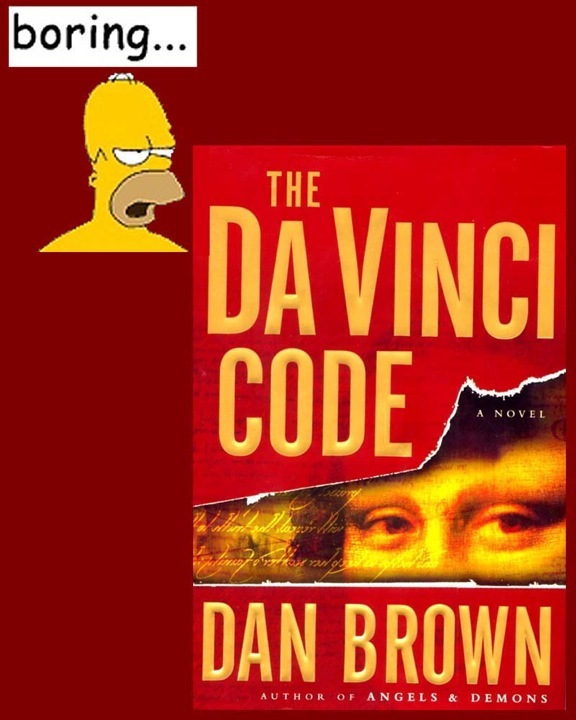 Critics universally say that all the Dan Brown novels are riddled with inaccuracies and amazingly badly written. But the public eats them up. Nice pandering, Dan. 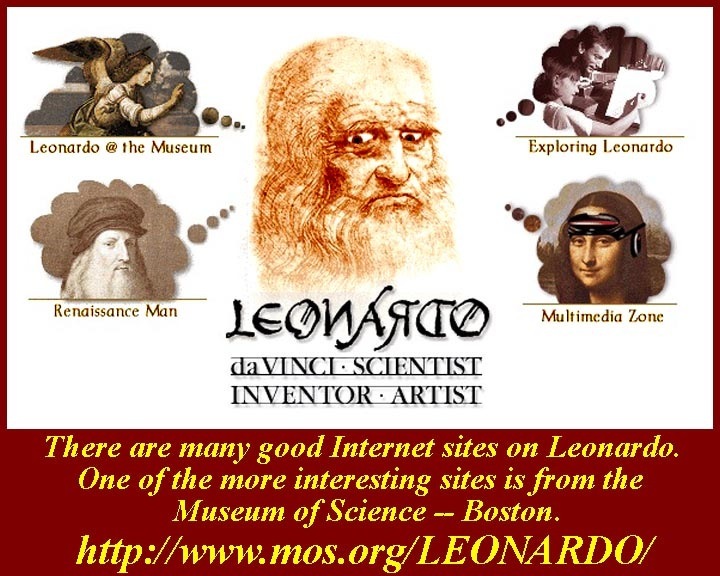 There are many good Internet sites about Leonardo, and there are just as many ridiculous sites. Some of the ridiculous sites are somehow connected with the Da Vinci Code -- pro and con, and others are ridiculous in other ways, e.g., about his life-style, gay or not gay, depending on how you interpret his anatomy drawings. One recent ridiculous controversy is whether or not the Mona Lisa is a self-portrait and, if it is, what it might mean. People are really stretching to find dissertation topics. 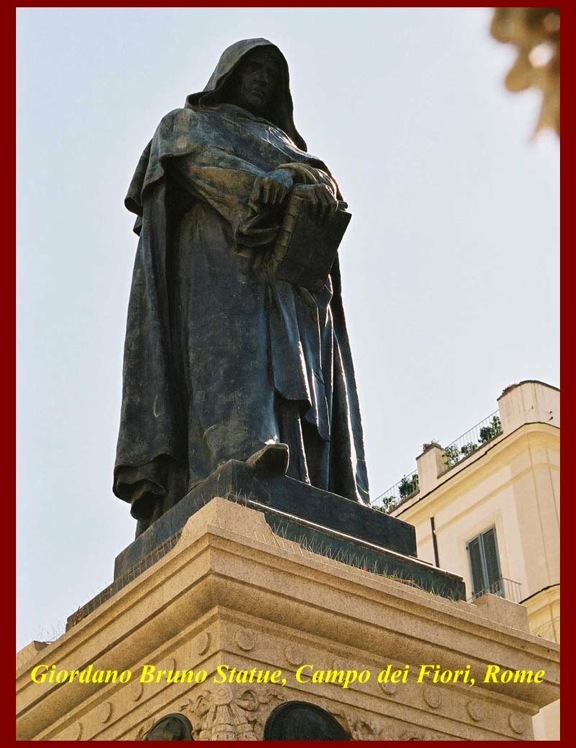 Ettore Ferrari memorializes Giordano Bruno -- why is Bruno idolized/idealized. 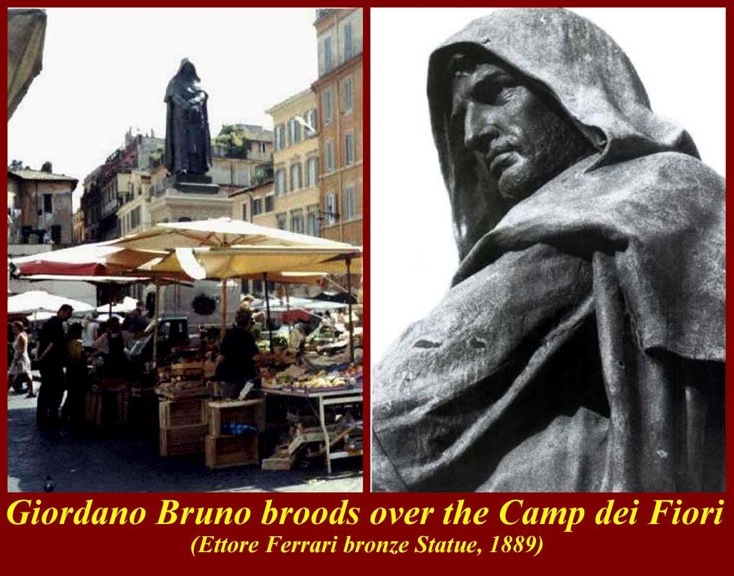 1889 -- the Bruno statue in context, in the Campo de Fiori on the spot he was burned by the Inquisition. The statue was originally an anti-clerical anti-Catholic shrine, but since the 1960's it has been a gathering place, first, for hippies and, later, for neo-pseudo-hippies -- idle rich kids on the new grand tour. The Bruno statue -- target practice for pigeons. 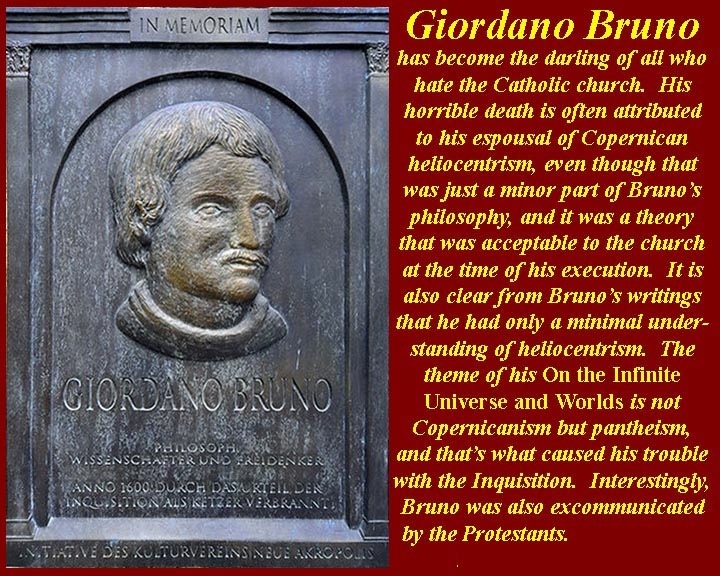 Not surprisingly, Bruno is revered in Protestant countries, even though his philosophy, not to mention his prickly personality, got him thrown out of several of the Protestant states that he visited while he was on the run from the Catholic Inquisition. In Switzerland he was even excommunicated by the Calvinists, making him a unique individual who was excommunicated by both Catholics and Protestants. 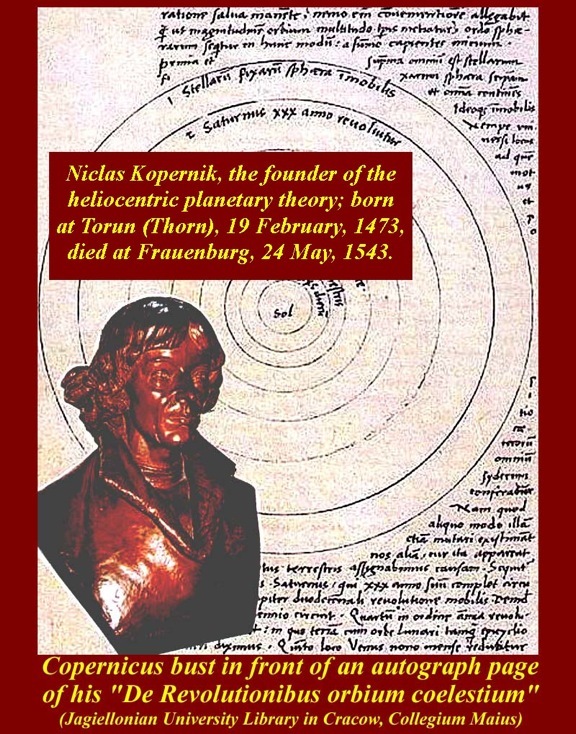 Copernicus is said to be the founder of modern astronomy. He was born in Poland. In 1530, Copernicus completed and gave to the world his great work De Revolutionibus, which asserted that the earth rotated on its axis once daily and traveled around the sun once yearly: a fantastic concept for the times. Up to the time of Copernicus the thinkers of the western world believed in the Ptolemaic theory that the universe was a closed space bounded by a spherical envelope beyond which there was nothing. Claudius Ptolemy, an Egyptian living in Alexandria, at about 150 A.D., gathered and organized the thoughts of the earlier thinkers. 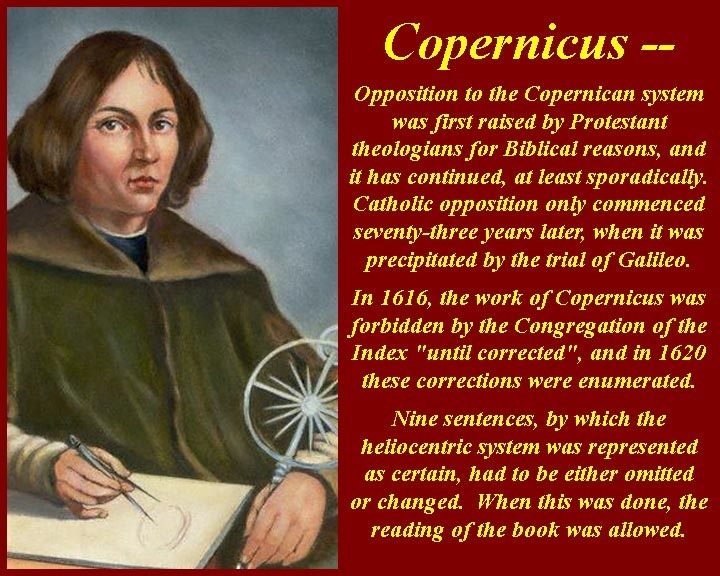 Church opposition to the heliocentric system proposed by Copernicus: Actually, opposition the Copernican system was first raised by Protestant theologians for biblical reasons shortly after De Revolutionibus was published in 1530, and some protestants still object to heliocentrism. Catholic opposition started only seventy-three years later, when it was precipitated by the trial of Galileo. In 1616 De Revolutionibus was placed on the Index of Forbidden Books "until corrected", and four years later the required corrections were enumerated. Nine sentences, in which the heliocentric system was represented as certain (as opposed to being theoretical) were to be omitted or changed. When this was done, the book was taken off the Index. The "Dialogo" that got Galileo arrested: Galileo had skirted trouble with the Inquisition for several years -- and was warned about it by his daughter -- but he was always able to evade real trouble because of the protection of his friend, the humanist Cardinal Mafeo Barberini. Then Barberini was elected pope (Urban VIII), and Galileo could have been safe forever. But after several meetings with Urban, during which they discussed heliocentrism, and during which Urban raised his doubts about the system and about Galileo's insistence that it was certain (i.e., not a theory), Galileo issued another of his books defending the system (February 1632). In the Dialogo (Dialogue Concerning the Two Chief World Systems, Galileo put the Pope's arguments in the mouth of the doltish fictional character "Simplicius". Urban was definitely not amused, and instead of offering his usual protection he referred the issue to the Inquisition and presided over a session of the Inquisition that summoned Galileo. 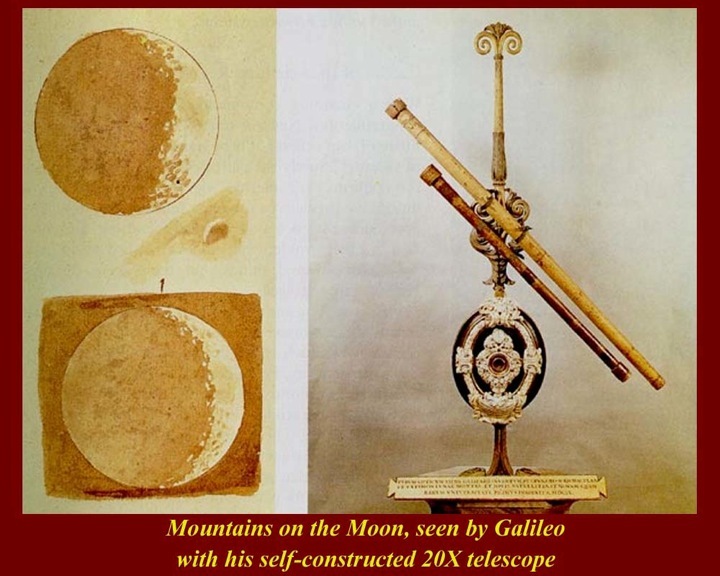 After several more sessions, Galileo was secluded first in the Medici Villa in Rome, then at the residence of the archbishop of Sienna in Tuscany, an finally in his own villa in Arcetri, near Florence, where he was under house arrest for the remainder of his life. He died in January of 1642. 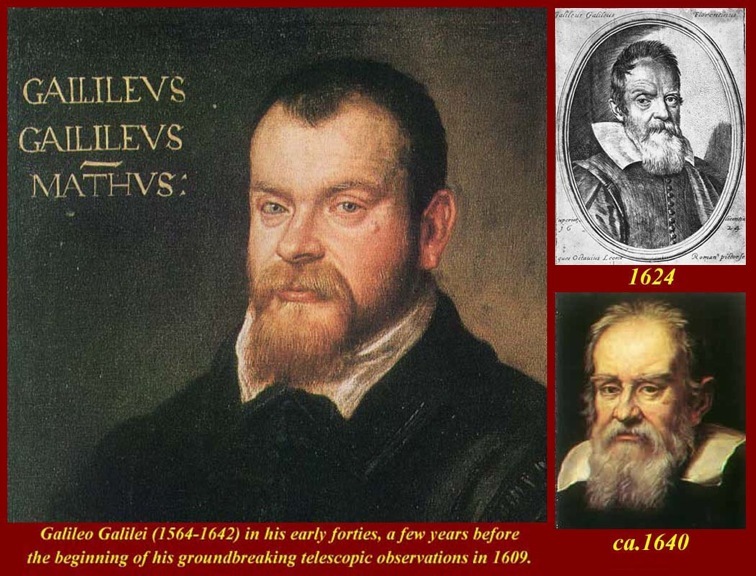 For a detailed chronology of Galileo's trials and tribulations, see http://galileo.rice.edu/chron/galileo.html#1630. Galileo was finally rehabilitated by the Catholic Church in 1984. See http://www.time.com/time/magazine/article/0,9171,921612-2,00.html. 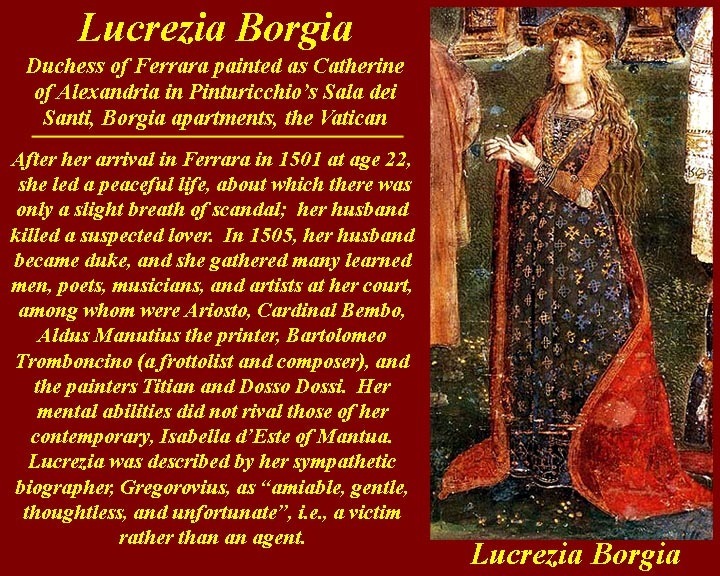 Once she got away from the Papal court and arrived in Ferrara (aged 22), Lucrezia Borgia turned out to be the ideal wife -- well almost. She probably had affairs, but then so did her husband. 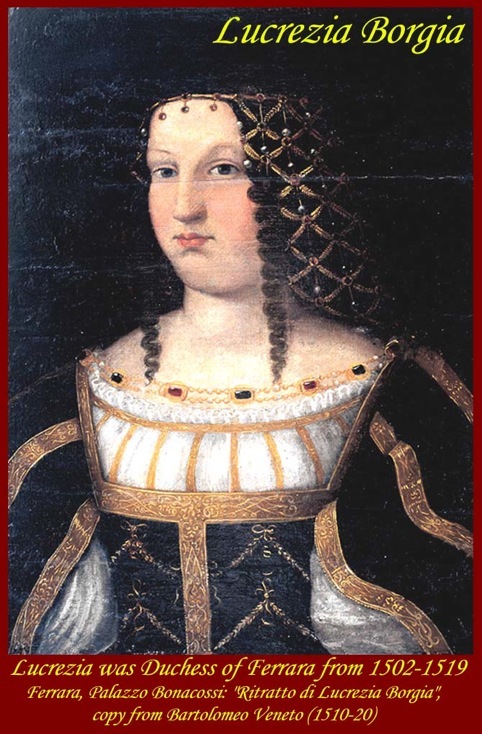 The only real scandal was when that husband, Alfonso d'Este (who during their marriage became Duke of Ferrara), killed a suspected lover while in a jealous rage. She became a patron of the arts and her court rivaled that of her contemporary and relative, Elizabeth d'Este of Mantua. 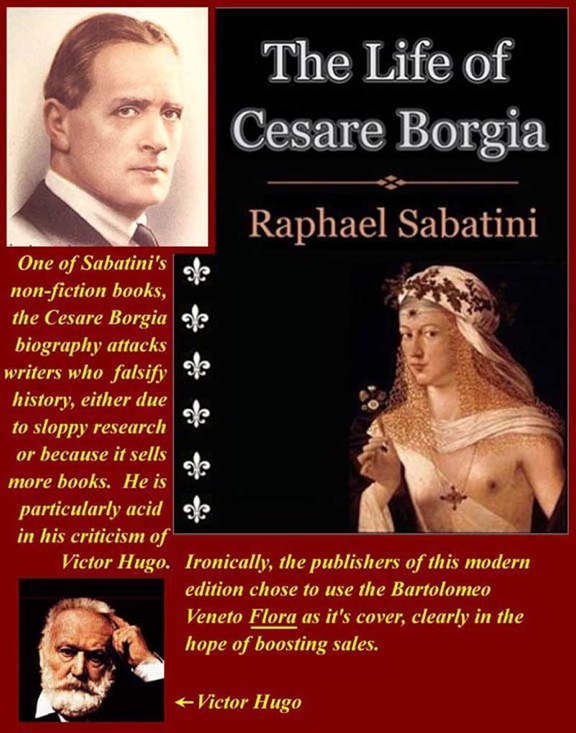 Her sympathetic biographer, Ferdinand Gregorovius, described her as "amiable, gentle, thoughtless, and unfortunate", that is, she was a victim rather than an actor. For Lucrezia, see http://en.wikipedia.org/wiki/Lucrezia_Borgia. 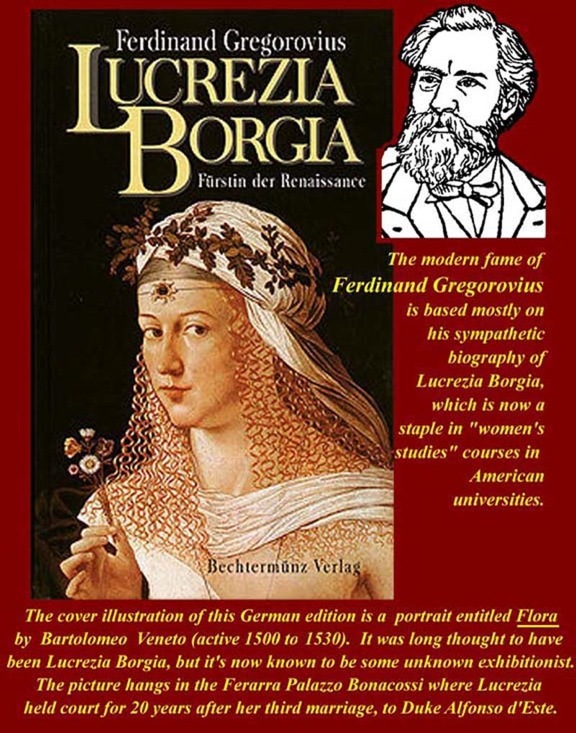 For Lucrezia Borgia, the biography by Gregorovius, see http://www.gutenberg.org/files/20804/20804-h/20804-h.htm. 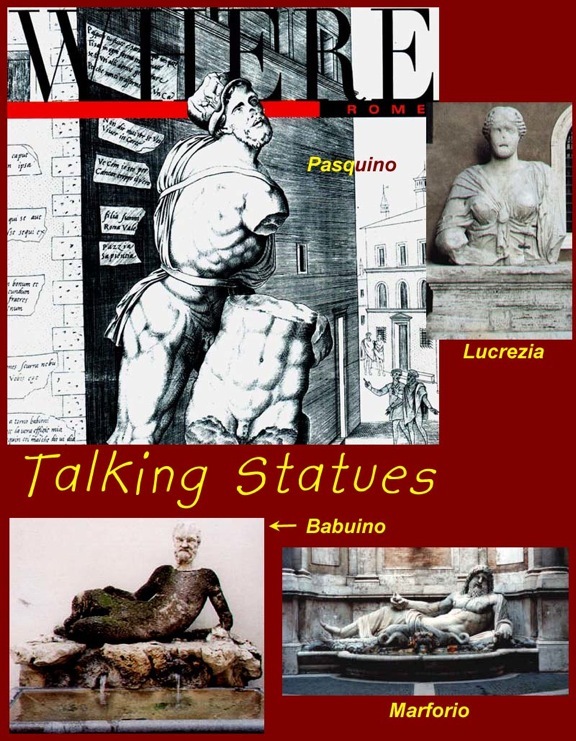 Rome's has had "talking statues" since 1501 when Cardinal Oliviero Carafa installed the torso of a statue representing Menelaus with the body of Patroclus in a small square (Piazza di Pasquino) near Piazza Navona. 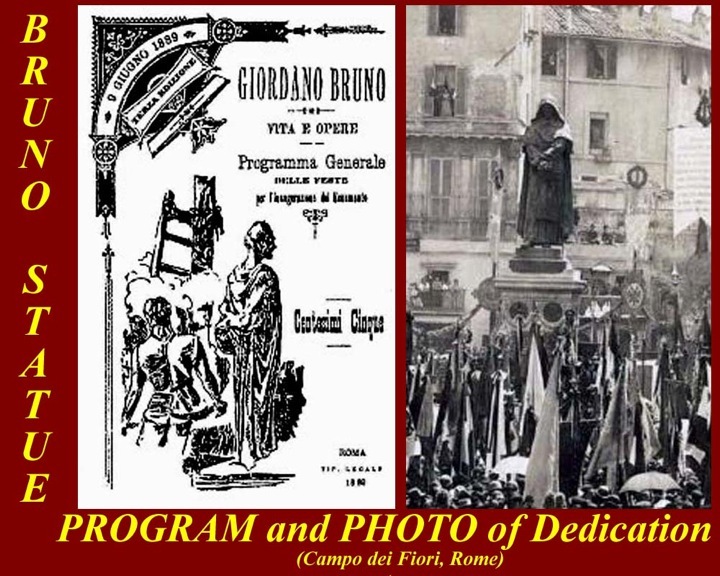 Each year on April 25 the Cardinal chaired a sort of Latin literary competition and poems were posted on the statue and occasionally this happened outside the competition period. In this way Pasquino (the name given to the statue) became the first talking statue of Rome and it is still used from time to time for posting messages and claims. The little square is named after him Piazza di Pasquino and pasquinata (pasquinade) is the word used for a short satire exhibited in a public place. It was not unusual that dogerel verses critical of the Popes or of other authority figures would appear overnight on the statue to the great amusement of the people. Of course, informers and secret police started to watch Pasquino to see and nab the disaffected persons who posted complaints. Soon other staues around town also started "talking" in the same terms; sometimes they even carried on "conversations", in which a pasquinade on one statue is answered the next day in a pasquinade on another statue. The talking statues are all still in use. The escapades of former Italian Prime Minister Silvio Berlusconi were frequent pasquinata subjects. 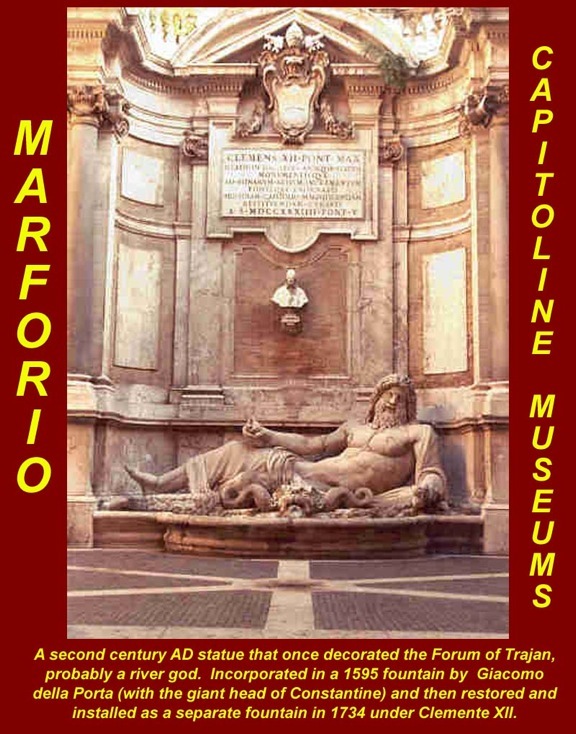 Marforio is a large 1st century Roman marble sculpture of a reclining bearded river god or Oceanus, which in the past has been variously identified as a depiction of Jupiter, Neptune, or the Tiber. It was the humanist and antiquarian Andrea Fulvio who first identified it as a river god, in 1527. 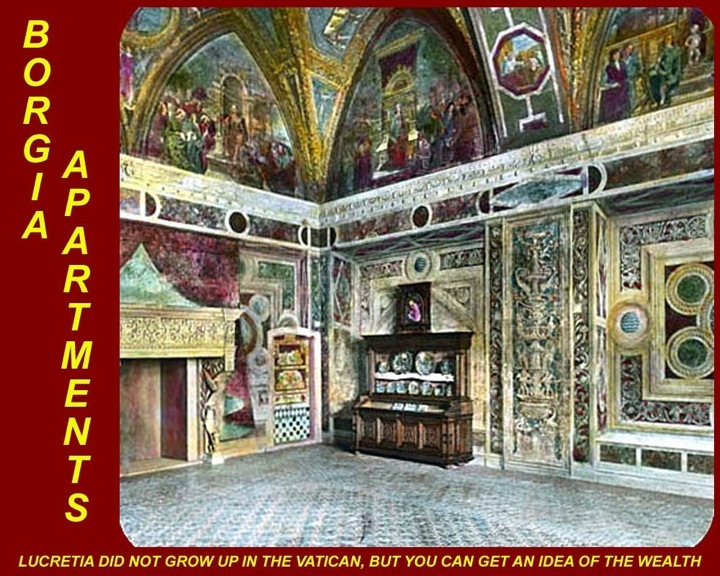 The Marforio was a landmark in Rome from the late twelfth century. In the early sixteenth century it was still near the Arch of Septimius Severus, where the various authors reported it. Pope Sixtus V had the Marforio moved to the piazza di San Marco in 1588, and then to the piazza del Campidoglio in 1592, where it decorates a fountain designed by Giacomo Della Porta on a wall of the Basilica di Santa Maria in Ara Coeli, facing the Palazzo dei Conservatori. Part of the face, the right foot, and the left hand holding a shell were restored in 1594. In 1645, the building of the Palazzo Nuovo enclosed the fountain. 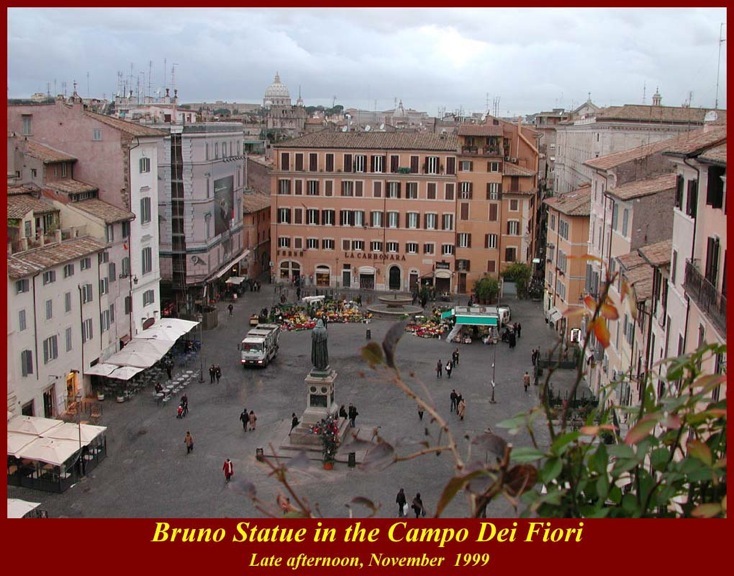 The statue was moved again in 1679, at the order of Pope Innocent X, who had it placed in the courtyard of the Museo Palazzo Nuovo di Campidoglio where it remains today. 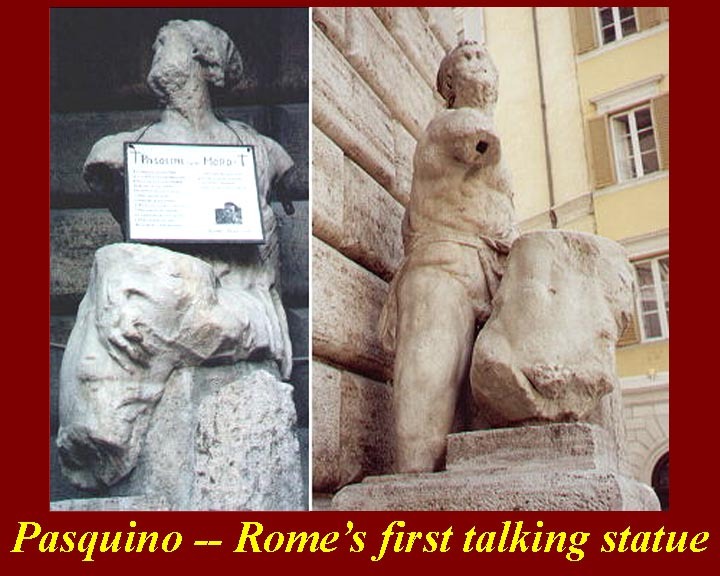 Pasquino: Romans still gather to read "Pasquinate".